Welcome to the Academy of Hospitality and Tourism Audio Tours of San Francisco! We are so excited you are joining us for one of eight unique San Francisco Tours. Step 1: Read the summaries of the tours to find the one that’s right for you. Tours range from 1 hour to all day. Step 2: Open the “Read Me First” file before you begin your tour for important information. Step 3: Download the audio tour to your computer and Ipod or MP3 player. To download the audio, right click on audio link, then click ‘save link as.’ The audio ranges from 6 to 15 minutes. Step 5: Click here to give us feedback after your tour so that we can improve our tour. People all around the world love coffee. Some can’t even start or end the day without it! While coffee is essential to some of us, most of us just drink coffee simply because we love it. We know that here in San Francisco, and we have some of the best coffee shops. Come join our tour and express your love for coffee! Beside the awesome coffee that your going to enjoy, you would also get a glimpse of the natural urban beauties of San Francisco. When you think of Hayes Street, what comes to mind? Is it food, shopping, romance, lights, or does your mind go blank when it comes to this subject? If you are looking for a leisurely way to spend your evening, this tour is for you. Hayes Valley is a neighborhood that many people do not know about but pass by daily. The Hayes has many different kinds of cafes, restaurants, and cute little boutiques for everyone to enjoy. If you are in the mood to eat some Italian food, Peruvian food, or even Middle Eastern food, then the Hayes is the place for you to be. Best of all, the prices are affordable. Enjoy our tour and remember to enjoy yourself. Our tour is based on discovering the amazing wonders of Golden Gate Park. The focus of our tour is the sites to see of golden gate park and its history. The tour starts off at the Rose Garden and will end at the Music Concourse. Between those points, you will encounter Stow Lake, Strawberry Hill, the Japanese Tea Garden, and Shakespeare’s garden. You will be dazzled by the sites you see from plants to lakes and learn things most San Franciscans don’t know. Be sure to put on walking shoes this not a tour for high heels. Are you a kid at heart? If you are, come and participate in our free tour about desserts! From Chinatown to Union Square, you will get to experience a variety of desserts within San Francisco. You are going to learn about the history of the fortune cookie factory to history about the Cheese Cake Factory, and the free tasting at Z. Cioccolato. So come and see for yourself, where all ages are welcome! Your time in San Francisco is not complete without the “Family Fun!” tour. We all need family time. Explore how San Francisco families spend their time in the fun spots of San Francisco. Destinations include San Francisco’s famous Chinatown, the bustling shopping center located in downtown San Francisco, and Golden Gate Park. End your stay in San Francisco with good memories! Is there someone out there you’d like to spend an evening with? Do you want to spark up the romance and have a little fun? Well we’ve got the perfect plan for you. Simple and unique, we will show life’s simplest and valued treasures, which is love and tranquility. embrace the love and peace of San Francisco together. When you are in San Francisco, journey through the city as a San Franciscan does. See what we see and act how we act. In San Francisco there are many cool places to hang out at and have fun. Places for a whole family or just with a certain someone. 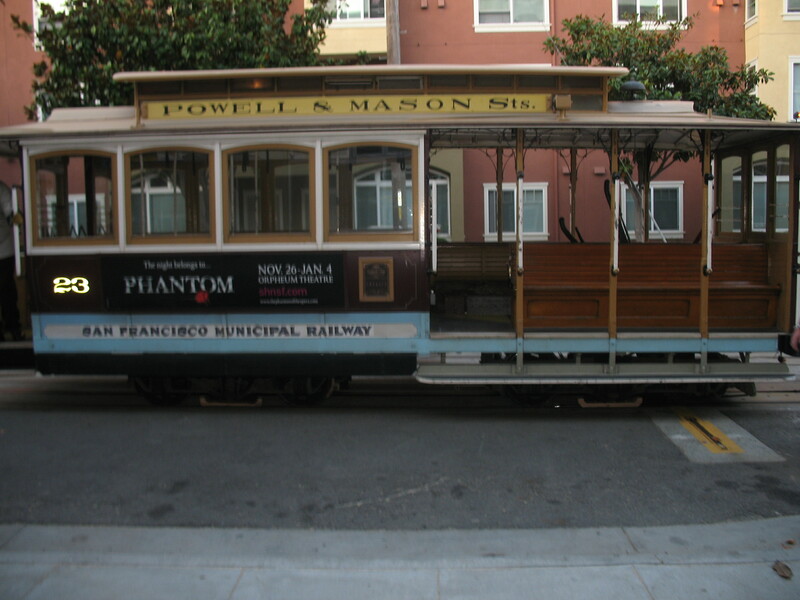 Start from the cable cars in North Beach and end at the malls and theaters. This exiting tour also includes the funnest places to go to like the arcade and the Turbo Ride at the pier and the biggest theater in the city. There is also the ice skating rink the bowling alley and sight seeings on the cable cars.